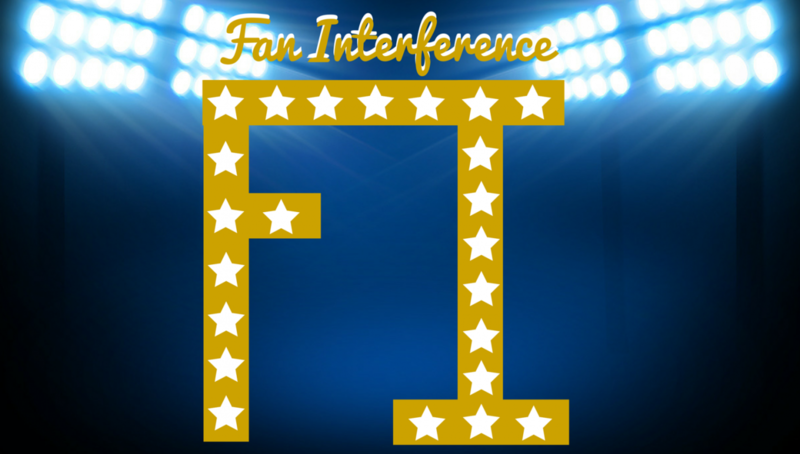 First and foremost, I’d like to take the time to congratulate Fan Interference on celebrating its one year anniversary yesterday. Cheers! Now, all I want for graduation is a Stanley Cup Final that lives up to the hype of the Conference Finals that come before it. In turn, not to be subjected to a similar fate of years past by having a curtain in the form of an anti-climatic close to what the NHL heralds as “a best versus best” series. With that in mind it may be hard to duplicate the atmosphere of a Chicago v Los Angeles or a Washington v Montreal match up with a trip to the Cup Final on the line. Considering how often those previous teams play one another. What may not be difficult to request is, having a Final reach a winner takes all game 7. Its been noticeably absent, in fact you have to go back to 2011 when the Boston Bruins went into Vancouver and came out on the other side 4-0 victors. We, as fans have been robbed of such a luxury in the years between. In 2012, Steve Bernier plastered Kings defensemen Rob Scuderi into the glass, resulting in a major penalty. Los Angeles then bombarded Marty Brodeur on the ensuing 5 minute major on their way to a 6-1, game 6 victory. In 2013 Chicago tallied two goals in 17 seconds crushing Bostons late 3rd period lead in their last ditch effort to force a game 7 in Chicago. In 2015, Chicago yet again doubled down scoring the only two goals against Tampa Bay in game 6 to hoist their 3rd Cup in 5 years. Lastly, 2016 saw the a narrowly focused, much matured Sidney Crosby land his second ring, in a series where San Jose was never out of it but also never truly in it either. For a multitude of reasons 2017 has been a year of interesting narratives, putting it lightly. But in terms of hockey, what it could potentially offer is that game 7 that has eluded fans for quite some time. Washington, who easily up to this point has established themselves as the best team in the league, beefed up by trading for Kevin Shattenkirk. Clearly the mentality is to win, now more than ever. We’ve been teased with the notion that this is Washington’s year many a time in the past. But, with the additions of players like Justin Williams, TJ Oshie, Lars Eller, Brett Connolly, and the recently mentioned Kevin Shattenkirk. It be difficult to argue that the road to the Cup, does in fact run through Washington. Much forgotten the years of repeated playoff disappointments which come as early as last years defeat at the hands of Sidney Crosby. Washington has reloaded, beefed up, and have a frightening mental infatuation with putting those less than fortunate seasons behind them, forever. Chicago, since the 2008-09 season has established themselves as the poster child of consistency in the NHL. Currently running through their opposition as if they were constructed of wet tissue paper, including their eyebrow raising 4-1 victory Wednesday night over Pittsburgh. Patrick Kane is back to his form which saw him win league MVP last season, while Jonathan Toews has recovered from his mid season slump. Go down the roster, if you fancy, and attempt to pick out a match up in which your favorite team has the clear cut advantage. Even Bill Belichick would quiver in his boots at the thought of a 7 game series against the NHL’s most formidable playoff foe. Home ice advantage for the Hawks means you best win every game on your home turf, something Chicago doesn’t always let their opposition do. Chicago has the experience, bar none. With the lethal combination of Kane and Toews. Washington has the firepower and the confidence to go shot for shot with anyone in the league. Not to mention that Ovechkin and Backstrom go together like peanut butter and jelly. Washington versus Chicago is the series you didn’t realize you needed in your life until right now. For the Caps they have a charismatic captain desperate for the one piece of hardware needed to complete his star studded resume. For the Hawks, one more Cup would put them in the realm of immortality, along with Gretzky’s Oilers, and Bossy’s Islanders of the 80’s. Separately the journey to this years Cup Final won’t be easy on either side. Washington will surely see Pittsburgh again, while Chicago will have to take care of Minnesota and Los Angeles. But a hockey nut can dream, right? If, by chance these two organizations meet for the right to compete for hockey’s ultimate prize, you best not blink. As for those smiles? Surly they won’t last.